A pilot program is underway to assist residents purchase newly-built affordable homes in Chicago neighborhoods where the housing market is still recovering. 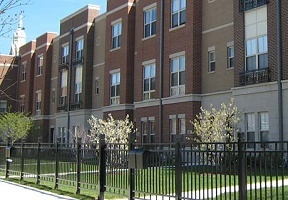 Through the Building Neighborhoods and Affordable Homes program, eligible residents can receive purchase price assistance to buy homes that were built through the City Lots for Working Families program, which provides vacant, City-owned lots to developers of affordable single-family homes for $1 each. 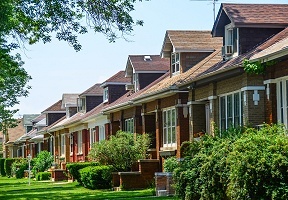 The program is designed to create high quality homes in historically divested communities where the housing market continues to recover from the Great Recession. Purchase price assistance ranging from $40,000 to $60,000 will be available for qualifying buyers to purchase a home to use as their primary residence for at least 10 years. Eligible homes are properties that have been built under the City Lots for Working Families program. City Lots offers city-owned lots for $1 to developers that will build affordable single-family homes. The $5 million pilot program is funded through the City’s Affordable Housing Opportunity Fund, which receives fees from developers that are subject to the Affordable Requirements Ordinance. The pilot program will include portions of Englewood, Lawndale, Little Village, Humboldt Park/Garfield Park and Woodlawn.